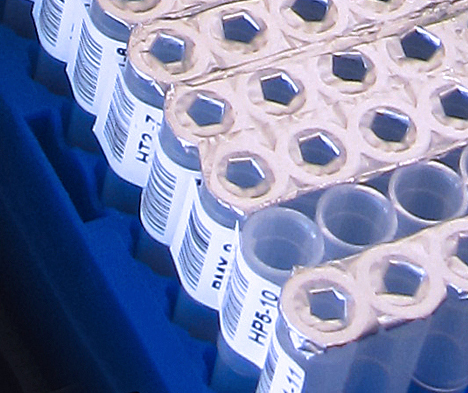 When a blood sample is received, DNA is extracted, amplified and submitted for sequencing. 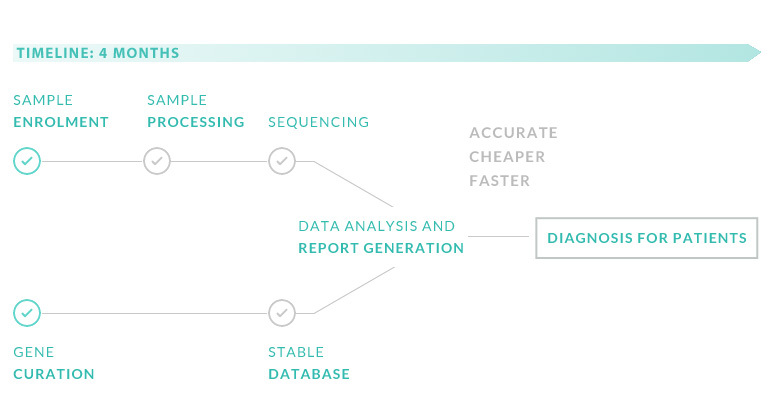 The sequencing results are quality controlled, variants are identified and the common ones removed by filtering. Variants that pass the filtering process are presented to the Multi Disciplinary Team for assessment in the context of Human Phenotype Ontology (HPO) terms appended to the patient record. A negative report will be issued if no ‘clearly pathogenic’ or ‘likely pathogenic’ variants are identified. If ‘clearly pathogenic’ or ‘likely pathogenic’ variants are identified then confirmation by Sanger sequencing will follow and, if confirmed, a positive report will be issued. Reports are issued to the referring clinician. The target turn-around time of 4 months is envisaged but positive results require additional laboratory time because a ‘variant specific’ assay needs to be ordered. The ThromboGenomics platform will be regularly re-assessed and relevant new genes involved in bleeding, thrombotic, coagulation and platelet disorders will be added. ‘Clearly pathogenic’ and ‘likely pathogenic’ variants will be submitted to publicly accessible databases linked to the Human Phenotype Ontology terms to improve the accuracy of future reporting for patients with similar disorders.